This internship is going great so far. It’s exactly what I was looking for. It’s laid back and teaches me valuable skills I can use. Not to mention that the scheduling is flexible. I am learning to use a sewing machine. 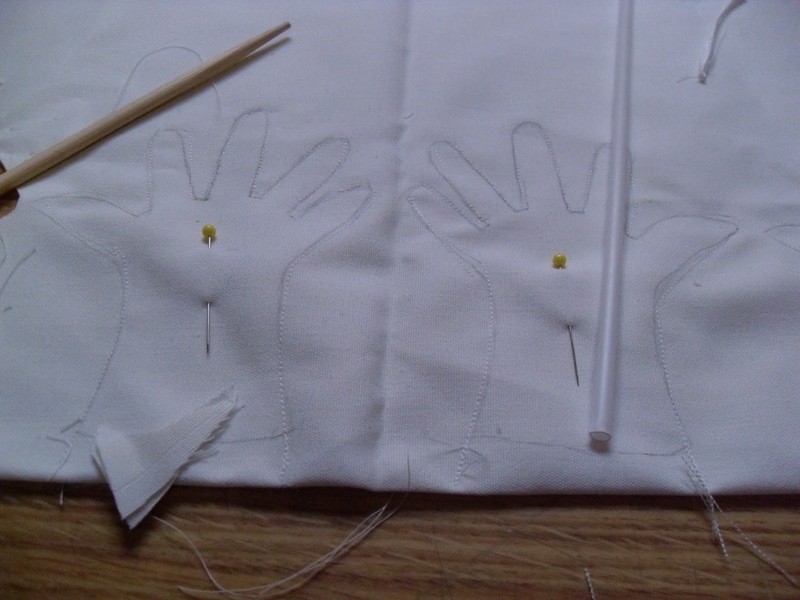 The stitching and pattern for the hands of cloth puppets is tricky. Plus, I was using their “training material”. 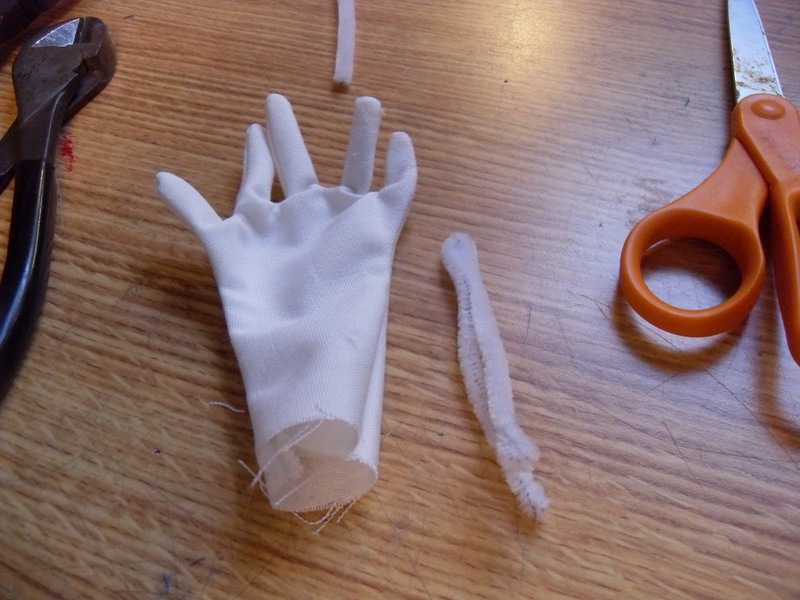 It’s rougher to work with, but it’s a cheap muslin. So, I can afford to make mistakes. 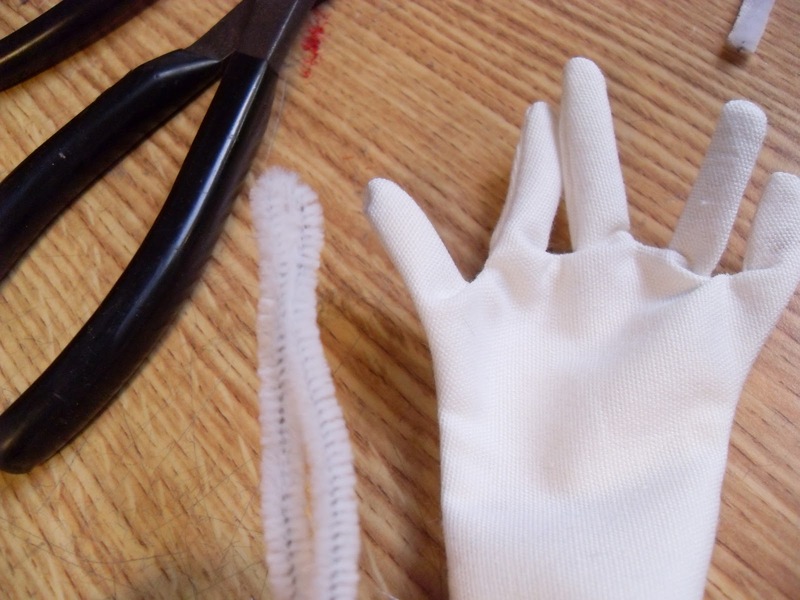 Pipe Cleaners are placed in the fingers after turning the hands. 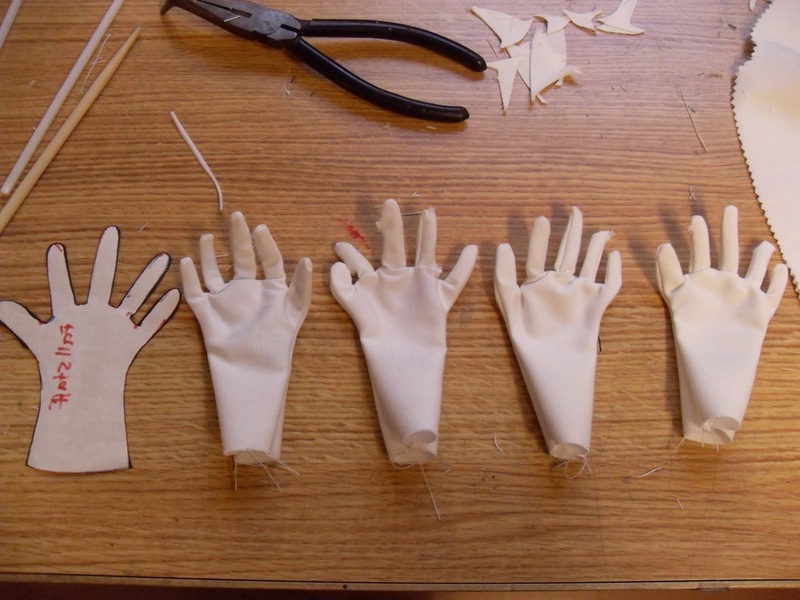 When turning, always turn the fingers inside out BEFORE the whole hand. This saves you the trouble of fishing them out later. 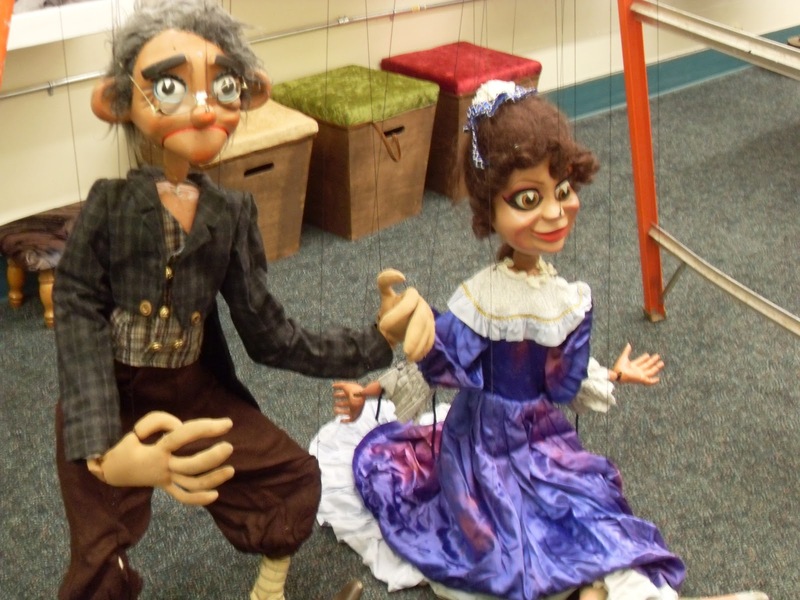 Below, are two forty year old marionettes that I’m helping repair. I whipped up a few replacement ankle joints by taking a bandsaw to a sturdy plastic bin.